You may have heard us talking about a recent campaign called “The Boil Rumble.” Perhaps you are wondering why we are so excited about the homebrewing community and partnering with The Brewing Network and MoreBeer? Let’s just say that most large breweries, including us, started out with humble beginnings. As we reflect on our company’s history and the current industry at large, we find it incredibly important to embrace the homebrewer’s innovation, creativity and love for progression of the craft. Read on for some more details about our newest campaign and why we want to put your local homebrewing club’s best recipe in a can. Q: What is The Boil Rumble? The boil rumble is taking us back to our roots, and is giving the homebrewer a chance to become the hero. No matter where homebrewers come from or who they are, they all have, one thing in common, a shared love of adventure and fun. We want to team up with them and go on a fun adventure in 2019. 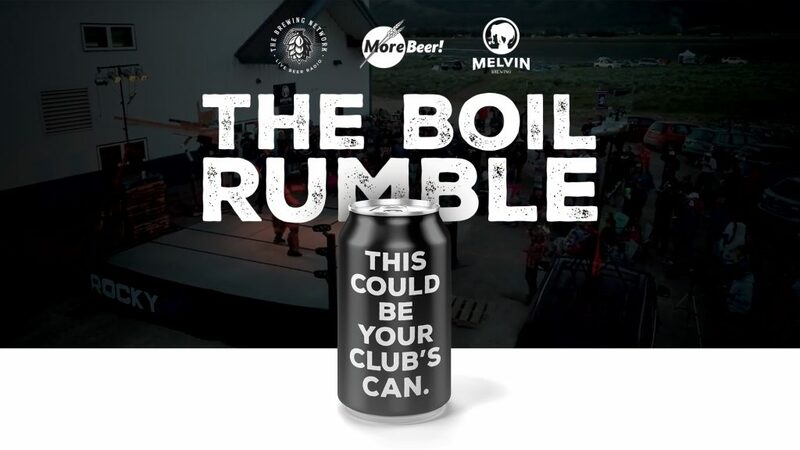 The Boil Rumble will see 6 homebrew clubs getting their exact recipe released in cans this year. Melvin started on a 20 Gallon Morebeer! Brewsculpture system and we grew into a 60-barrel system, in fact, some of the original recipes (2x4 and IPA) are scaled up from the 20-gallon system. We just installed our 7-barrel pilot system at the Wyoming location and figured what better way to break it in than having some home brew clubs over to brew their favorite recipes and release that beer in their hometown. The winner of the pilot system beers will brew on our big system, that beer will be released nationally. I was scrolling through the AHA Forum last summer getting lost in the worm hole and it just hit me. 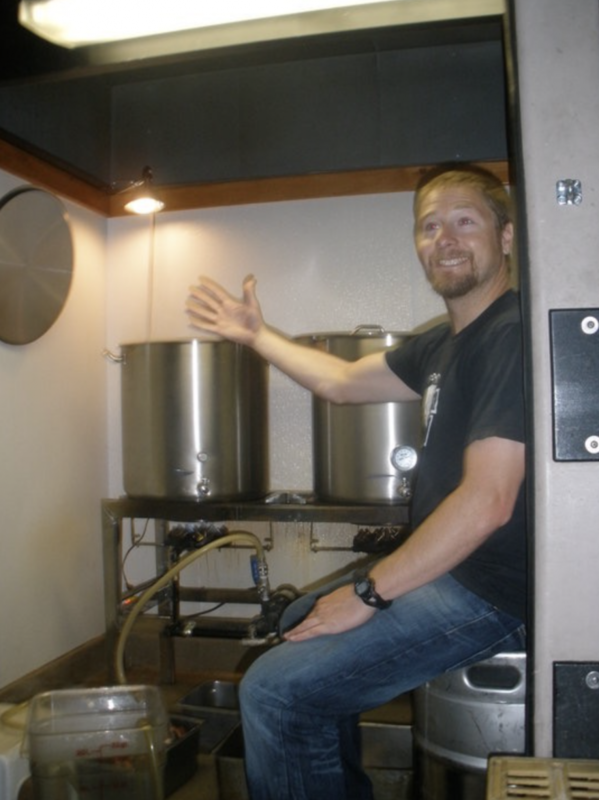 Many home brewers are as educated as pro brewers when it comes to knowledge and equipment. When I first started home brewing, there was no internet and maybe a book or two. We messed up a bunch of batches. There is so much information out there now and so many gifted people brewing at home, that I wanted to see what kind of beers they were brewing and how they brewed them. When we do collaborations with other breweries, we always want to learn from them, and if possible, teach them something new that we know. This program is like doing a bunch of collabs with the clubs. I used to volunteer at Portland Brewing on Saturdays. I still remember the feeling of euphoria I felt sitting at the bar drinking the beers the brewer would let me help him make. It’s a feeling we want others to have. Homebrewers now are so much savvier than I was, they have things they can teach us, and hopefully we can teach them something as well. Q: Why are homebrewer’s so important to the craft beer industry? How have you seen homebrewing impact the craft beer industry? Most all of the homebrewers I have met are a passionate and happy bunch. They help bring the stoke to the brewing industry. As if that is not enough, they are becoming more and more part of the commercial brewing industry. Just as I went from home brewer to pro brewer, hundreds of others are joining the ranks and making the kind of beers they want to make, and they are good. I have seen other brewers with limited commercial experience come in hot and raise the bar industry wide. Q: What’s your homebrewing story? My mom and dad put me to work at their beer distributorship in western Washington when I was around 10 years old. They were pioneers in the area when the craft beer scene was in its infancy. When I was 16 I began doing deliveries and one day they sent me to local breweries to pick up a pallet or two. One day I walked into the Thomas Kemper Brewing in Poulsbo, WA and instantly I knew what I would do for a living. I never wavered and kept at it until it became reality. But first, I needed to learn that you could actually homebrew. I was I was living in Bend, Oregon working on my snowboarding degree at the community college. Deschutes had opened a few years before and they were making the beer I liked to drink. I remember John Harris standing over by the fermenters in wearing overalls and a beard. “That’s it” I said, grow a beard, get overalls and learn to brew. I started out the typical way, extract brewing. Then the other home brewer in town taught me all grain. I think we also watched a VCR tape on how to put grain in warm water and turn it into lucky juice. That started an addiction that only a home brewer can understand. When I moved to Jackson Hole, I lived in the Simpson House. It’s a ski bum house set aside by the late owner to preserve ski bum culture. We would throw fundraisers at the Simpson House with my home brew for hurt dogs & hurt homies (I don’t think health insurance had been invented yet). Rent was never more than $150 a room (6–7 of us lived there at a time), that freed the wallet up to spend all my money on equipment and ingredients. Snake River Brewing supplied a bunch of us the grain and yeast for free (thanks), that taught me early on about the breweries unofficial commitment to the homebrewer, hook them up! Q: What aspects of this project are the most fun? The home brewers themselves. When we met with the Morebeer! & the BN crew, we went to an event with homebrewers that recently turned pro brewers. Their posse’s were there and the camaraderie and humor shared between the men and women in attendance was contagious. We want to spend more time in that space. Q: Who are the partners involved and how are they playing a critical role in this project? I had spent 10 years raising money to start a production brewery. Several times I had raised the money only to get my license turned down by the town. I started my restaurant, Thai Me Up in 2000 and brewed beer in the back for friends. It never really occurred to me that I could simply get a federal license and go pro in my exiting space. In 2010, I sold my 1978 Mercedes and bought a Morebeer! 20 gallon Brewsculpture and fermenters. I had taken a couple years off before that traveling around, so I was a bit rusty, but also a bit thirsty. I started listening to Brewstrong episodes on The Brewing Network and it brought me back up to speed. Within a year the 20 gallon became a 3 barrel system. Both of these companies helped propel Melvin forward, it’s cool that we get to work with them now and at the same time, appreciate the humble beginnings of Melvin. Together, we get to stoke out the next wave of pro brewers. 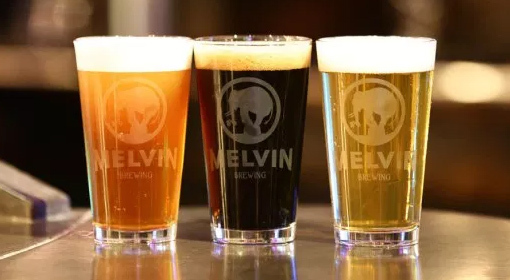 Q: Tell the world a little about Melvin Brewing’s new pilot system at our brewery in Alpine, WY. What about the creative brewing going on at Bellingham, San Diego and at your OG brewery in Jackson? All of the pubs have full menus and guest beers as well as house made beers. SD, Bham and Alpine all have 7-barrel direct fire pub systems. Thai Me Up has a 3 bbl system made by the same company. The SD pub focuses on session ales and kettle sours and has 5 fermenters and brites and 20 taps at the bar. The Bellingham location has a 5,000-square foot basement and we are beginning the barrel aging program there in the next few weeks. Thai Me Up deals in all things beer. IPA’s, hazies, pastry stouts & Belgian styles, fruit beers. We are looking to open a pub called the House of Flying Barrels outside of St Louis this spring that will focus on sour and hazy beers. That should be fun! They are all mad scientist laboratories that keep the madness coming out each and every day.